If you would like to book your demonstration or contact us for any other reason, please pop your details in below and we will get straight back to you. Oticon's Opn hearing aids are truly a groundbreaking hearing device range. They are so small they are practically invisible but they also come in a range of shades and bright colours. The Oticon Opn is unlike any other hearing aid, instead of closing your world down to the person in front of you, it opens your world to all of the sounds around you. Giving you better speech understanding even in the most challenging sound environments. Less listening effort, more capacity to recall and understand and better understanding through a more natural hearing strategy. This is a completely new way of processing sound and is suitable for more demanding listening environments. 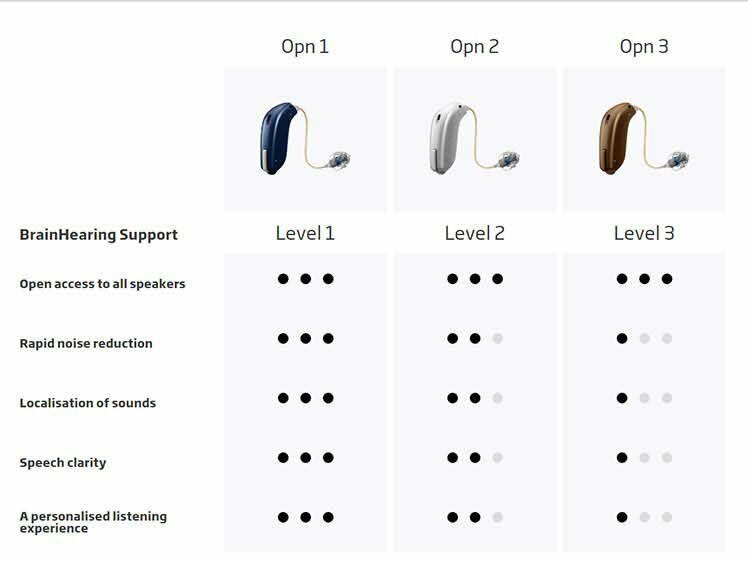 Oticon Opn is available in three hearing aid types, a newly designed compact miniRITE that sits discreetly on the ear, the brand new MiniRITE-T with a telecoil and the Opn BTE-13 which delivers power and versatility. The Opn range offers a wealth of new features and functionalities all incorporated in a sleek and modern designs and is available in a range of colours.